From the back cover: Trombonist Kai Winding, one of the best in the business, rounded up his section of four horns and set them into a rhythm section consisting of five guitars, Fender bass, drums and electronic piano. The sound is the strangest around! It's surfin', but with Soul. Solo guitarist Kenny Burrell makes things happen, too. Listen to him preach on Comin' Home Baby, Soul Surfin' and Tube Wail. Kai himself is the trombone soloist heard throughout, and Paul Griffin plays the electronic piano solos. From Billboard - July 9, 1963: Here's a wild instrumental album that's bound to score. The set includes Winding's current singles comer "More" and some other great tracks of recent surf hits. In the first category "Hero," "Soul Surfin'," and "Tube Wail," are leading tracks, while on the hit side "Pipeline" goes both ways and "Sukiyaki" and "Comin' Home Baby" get strong calls. 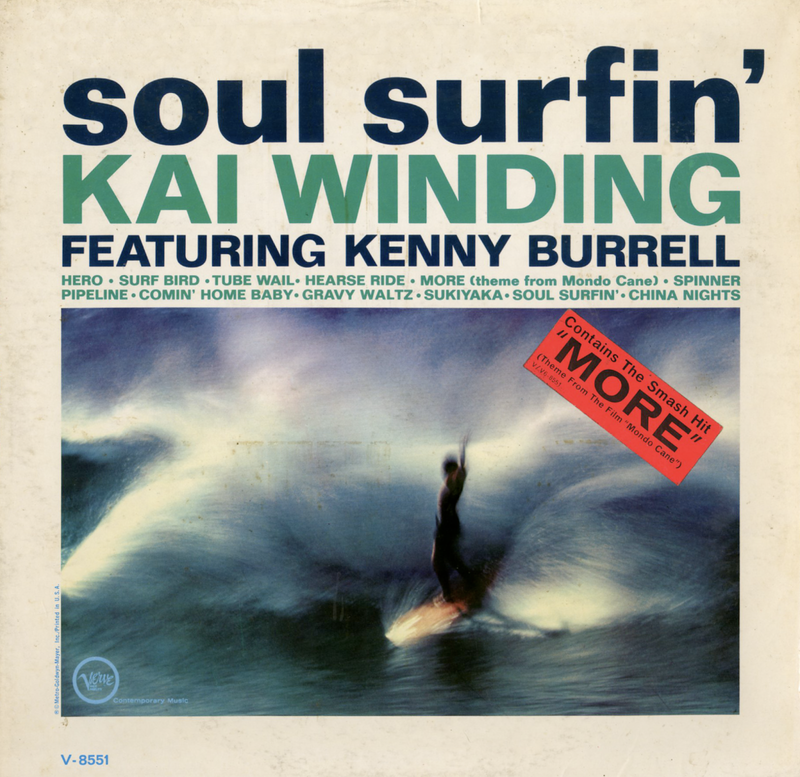 Strong "Telestar"-like organ effects are mixed with driving trombone and guitar blues work by Kenny Burrell.